Get 20% OFF your first purchase when you join our newsletter! Get our latest news, updates, and promotions. 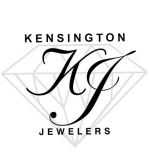 © 2019 Kensington Jewelers. All Rights Reserved.